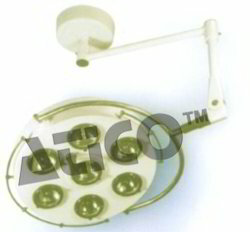 We are a leading Manufacturer of ot lights, operation white light 7 reflector and operation lights from Ambala, Atico House 5309, Grain Market,. B Dome Head	:515mm Dia. rise in field	:3° - 6° c from Amb. A) Dome Head	:715mm Dia. B) Dome Head	:515mm Dia. 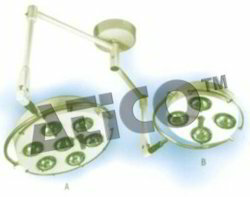 Looking for Operation Theatre Lights ?